America are you serious?!? Like come on how can Justin Bieber be hated in this country. I understand like in Canada because he left to become a pop star here lol, but not here. So I saw that a poll was taken and they said Justin was unpopular in this country. Yea ok >_< !! They couldn’t have asked me and my friends cause we would have like totally said we loved him (they probably asked some old boring guys or losers ugh!!). Me and my friends are all proud Beliebers and will always be (I love you Justin!!). No no no that poll must be all wrong. Because I mean Justin hasn’t done anything wrong. He is so perfect, and he sings the cutest love songs!! He really knows what to say to a girl <3 <3. My blonde haired hero can do no wrong!! 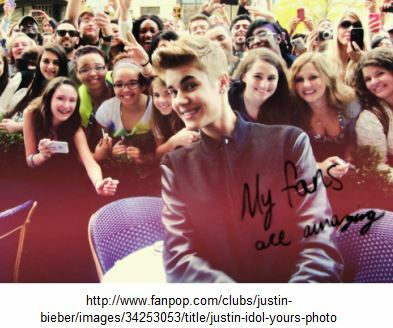 And I am so tired of people saying he has no fans. Ummm yes he does!!! Have you guys not seen pictures of his sold out concerts?? They didn’t go to boo him duhh. And his concerts are not just filled with girls there are boys too, and that does not make them gay. Like the stuff I hear people say sometimes is so dumb I swear! Justin Bieber is not just a pretty face like he is so much more than that. He is a really cool artist with really really good songs. Everyone in my school listens to him, boys and girls because he is just that good. Justin is also a great role model. He shows boys how to treat a girl and he is not all gangsta for no reason. He is just himself. And have you guys seen his movie!?!? Talk about inspiring!! I learned to never say never all because of Justin. He has been through so much and fought really really hard to get to where he is now. So people need to just like leave him alone. Like seriously every little thing he does is a problem now? Because he said he thought Anne Frank was a nice girl and would have been a Belieber? Maybe he was tryna say his fans are nice girls (like me!) and because Anne Frank seemed like a nice girl she would have been a fan too. Like come on people give Justin a break. Besides he is such a stud!!! (Lol). A cutie like Justin deserves all the fans in the world and not to be hated on like he is. Like honestly after all the things celebrities do now a days, Justin gets picked on?? He hasn’t been arrested or anything. He doesn’t act too cool for people and even lets his friends borrow his expensive cars and he gets in trouble for that? Whatever, his fans are loyal (like me!) and will not let that stop us from singing his awesome songs or going to his concerts! If people could just see all the good Justin Bieber has done for the world, people would understand how important he is. He is a super cool star because he is a super cool guy and if you guys who don’t like him could learn to love him (the way I do) the world would be a better place! Calling all Justin Bieber fans!! Justin needs us now more than ever, we must show him that we have his back no matter what!!! Beliebers Unite!!!! 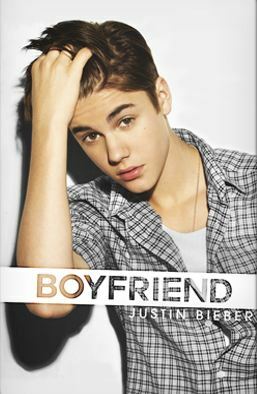 This entry was posted in Justin Bieber Fanclub, Justin Bieber Gallery and tagged About Justin Bieber, Belieber, Beliebers, Bieber, Bieber Justin, Fotos Justin Bieber, Justin, Justin Bieber, Justin Bieber Best Fanclub, Justin Bieber Fan Club, Justin Bieber Fanclub, Justin Bieber Gallery, Justin Bieber Pictures by admin. Bookmark the permalink.